Before you decide to delete your Crazy Egg data, it would be a good idea to have everything backed up safely. Once you choose this option, we will hard delete all of your data so there is no hope for data recovery. 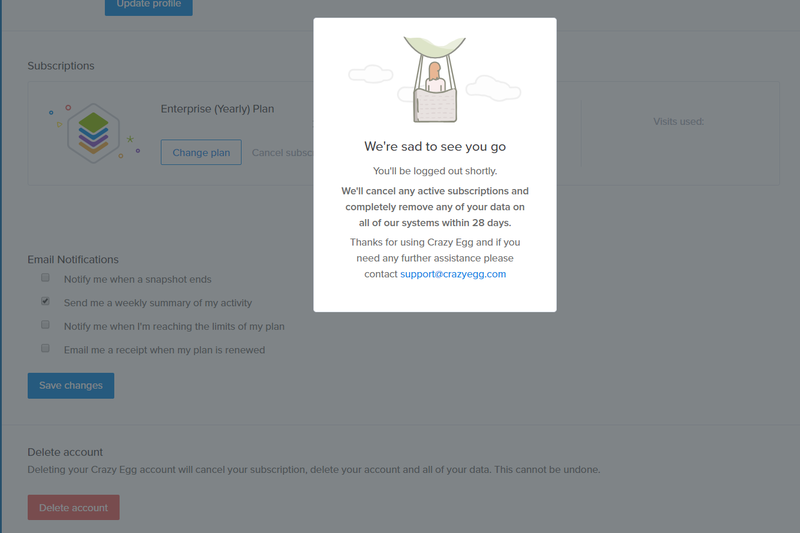 Note that the only Crazy Egg data that you can export are Snapshots ---- User Recordings will be permanently deleted. 1. 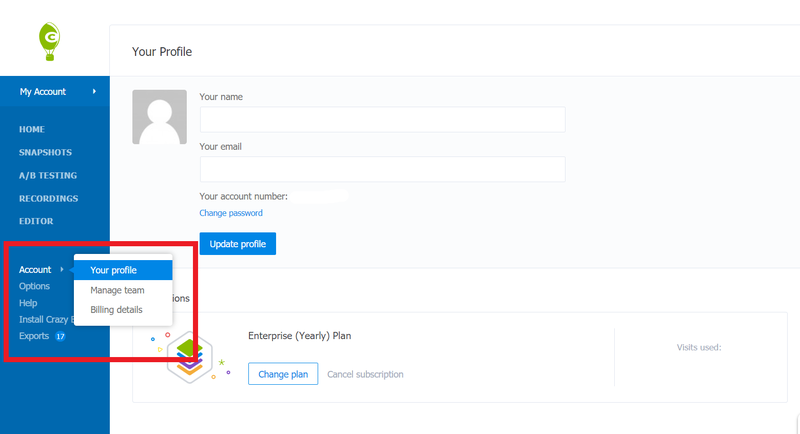 To delete your Crazy Egg account and data as well as cancel your subscription, navigate to Account --> Your profile. 2. Next, scroll down to the bottom of the page where you will see the option to Delete account. 3. When you click on the Delete account button, a pop-up window will appear. In order to successfully delete your data, make sure to type DELETE in all caps since this is a case sensitive command. 4. 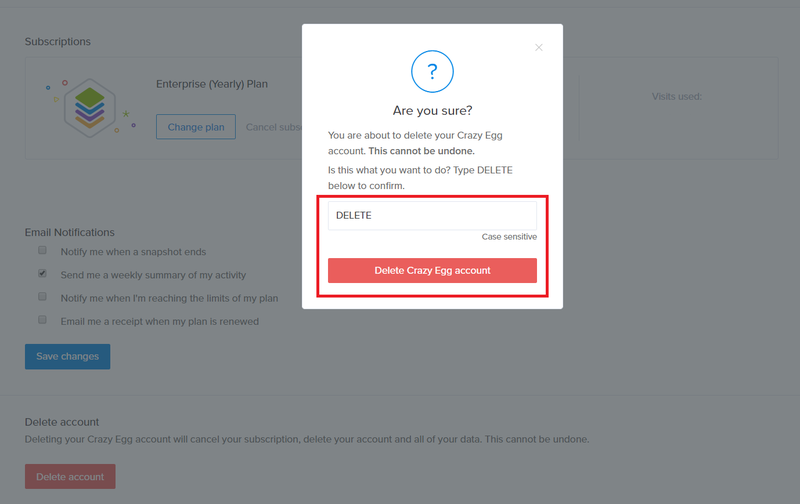 Once you type in DELETE, the previously grayed out button will turn red and you will be able to click Delete Crazy Egg account. 5. And you're all set! 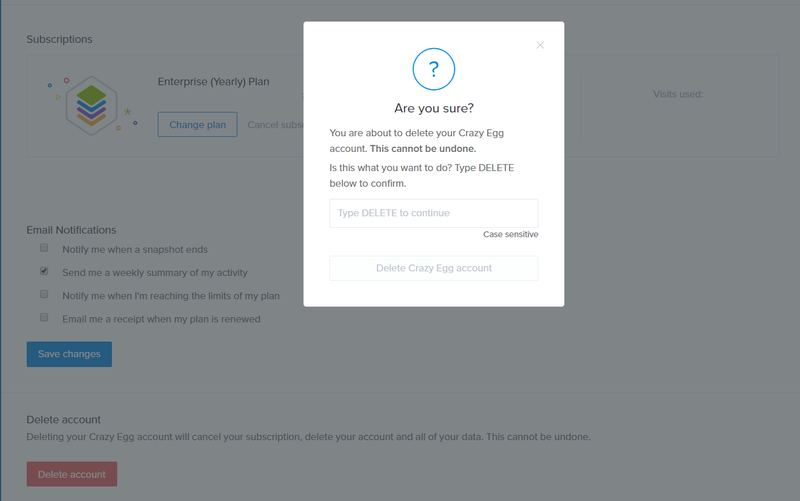 Remember that if you choose to delete your Crazy Egg data, including Snapshots, User Recordings, and any other information that we collect, it will be hard deleted with no chance of recovery. We're sorry to see you go! 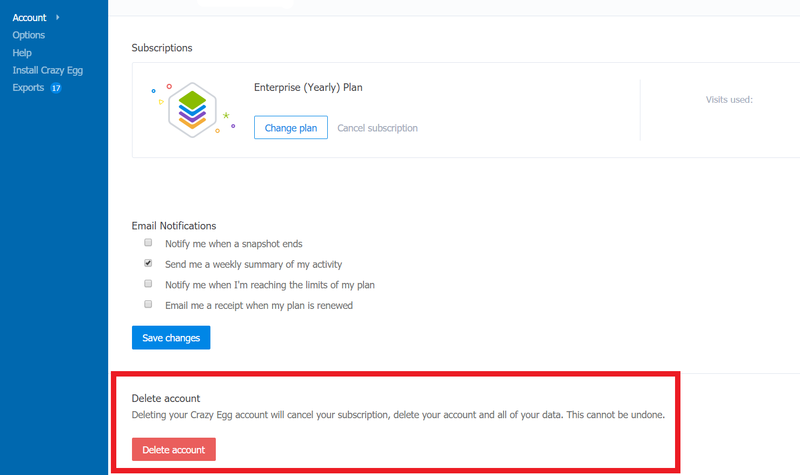 If you'd like to start from scratch, here's how to start a new subscription.